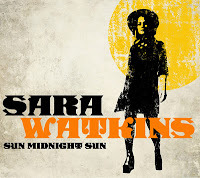 Former Nickel Creek fiddler Sara Watkins is looking to break through to the mainstream with her new album Sun Midnight Sun (out May 8th). This album sees a far more polished, dare I say commercial Watkins. The most obvious is "I'm A Memory", a song on which she seems almost angling for a radio hit. It's not the only one though. The country ballad "Be There" and the sleepy closer "Take Up Your Spade" lack those gritty, dirty edges that usually makes Watkins so appealing. There's also "You're the One I Love", a bizarre pairing of Watkins and the suddenly everywhere Fiona Apple. The frenetic roots guitar-driven number is so unnervingly breakneck that one has to wonder whether the pair gobbled a handful of amphetamines before heading into the studio. In a lot of ways the songs that keep you listening are the instrumentals. The record opens with one, "The Foothills", that's a fiddle-happy romp, serving to get you excited about what's the come. The other, "The Ward Account", is a robust palate-cleanser that sets you up for the record's home stretch. 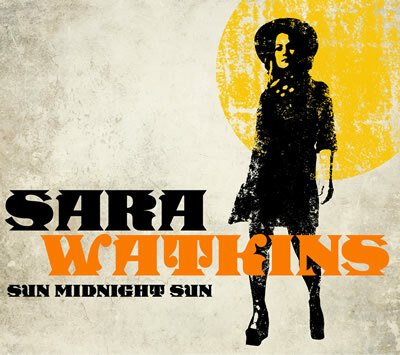 Watkins does strike the right balance a few times on Sun Midnight Sun. The catchy "You And Me" has a strong hook above a fiery tromping beat. The leisurely half-soulful "When It Pleases You" spotlights Watkins' vocals, which are deceptively lovely. There will certainly be an audience, and likely a large one, for Sun Midnight Sun even though she's much stronger when she's rougher. Best tracks: "You And Me", "When It Pleases You"